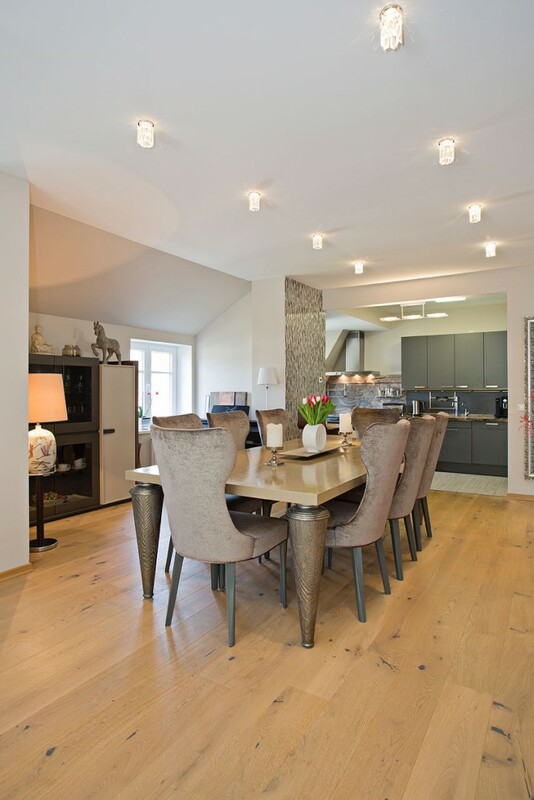 You will love this charming apartments with 5-bedrooms located in Grunewald borough, Berlin. 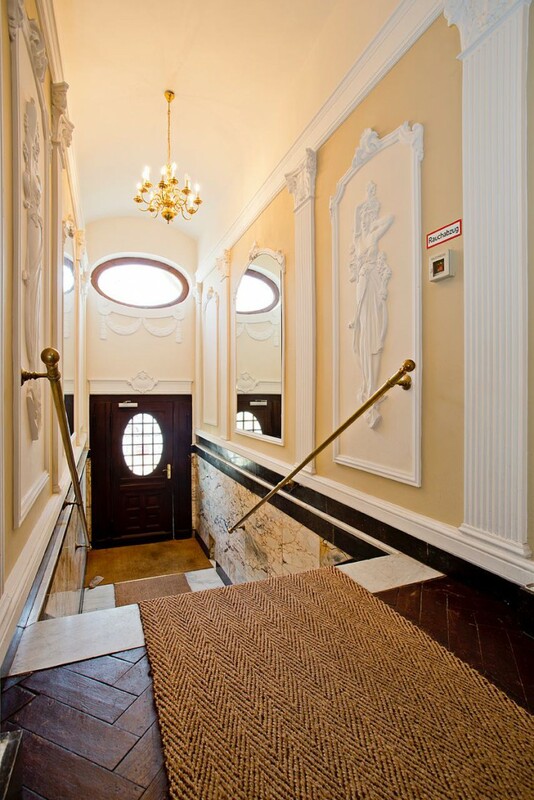 The apartments are located on the 4th floor of a historic villa decorated in Wilhelmian style. The building has a modern elevator. 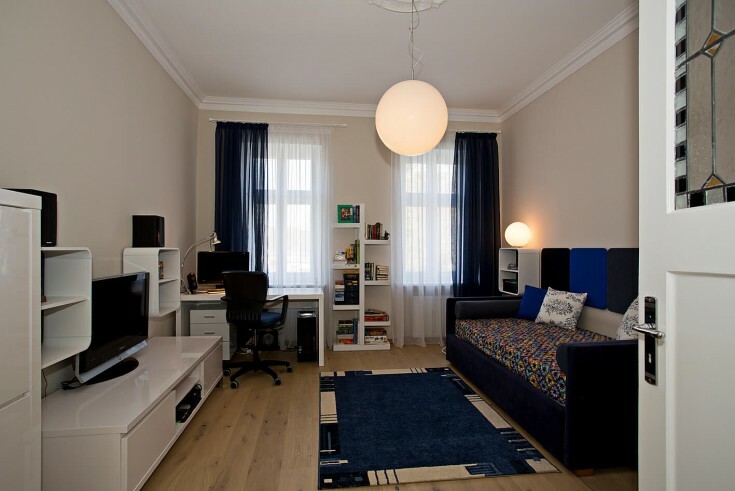 The apartment is in excellent condition and was fully modernized in 2013. There are 5 rooms in the apartment. The highlight of this place is an open living room combined with a dining room (80 m2 total) with access to a spacious balcony. 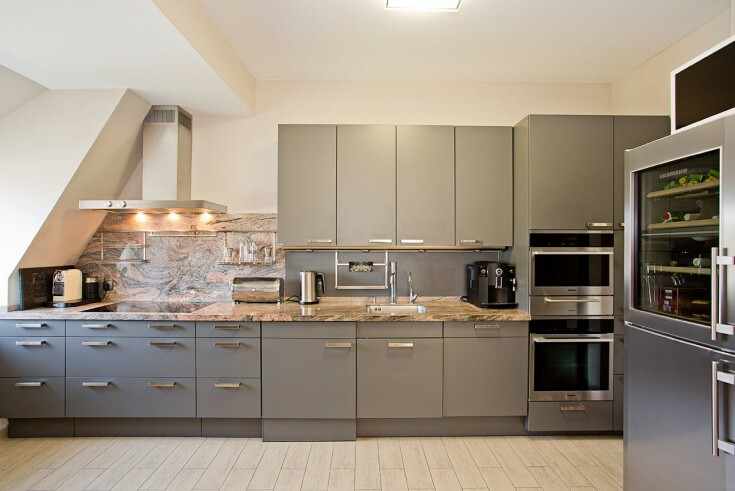 The kitchen area is equipped with modern appliances. 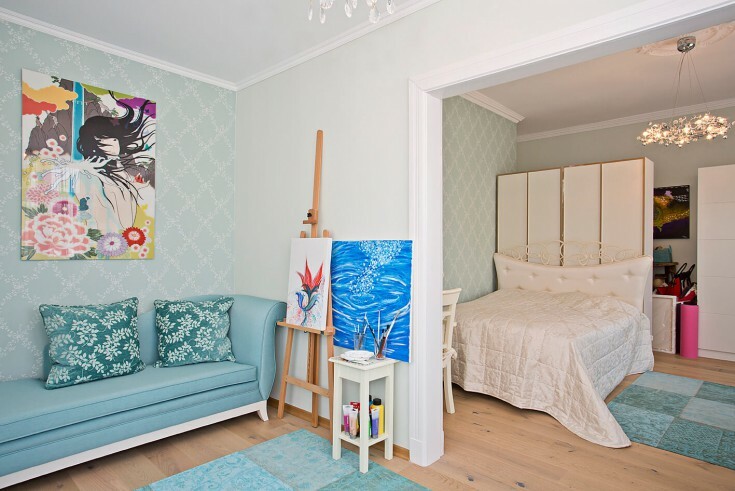 The apartment also has 3 bedrooms, an office and guest toilet. High quality parquet is laid on the floor. In the bathroom there is a modern sanitary equipment LUX class. 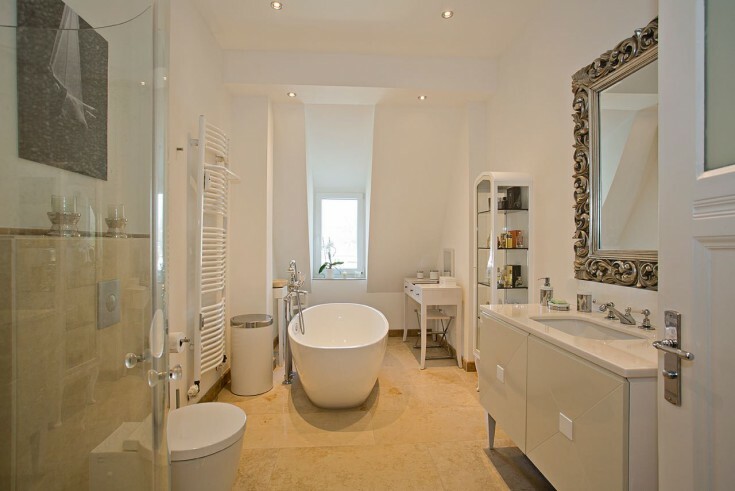 A bathroom is located in the middle of the room that makes it a unique design decision. 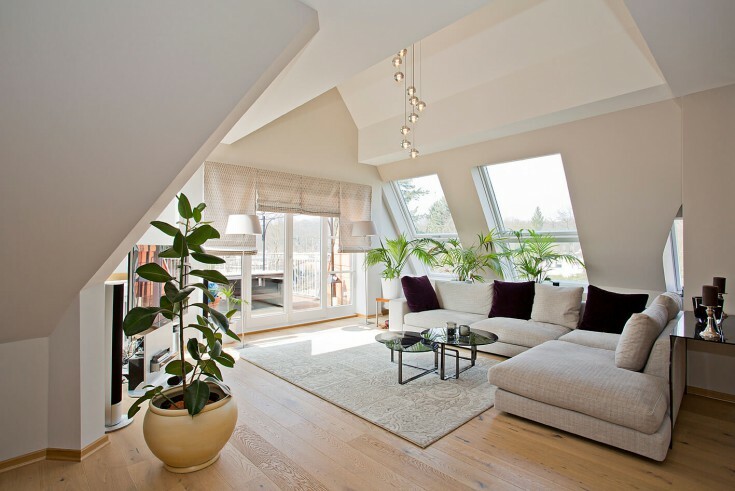 Also, huge panoramic windows (4.3 m) make the whole apartment very bright. 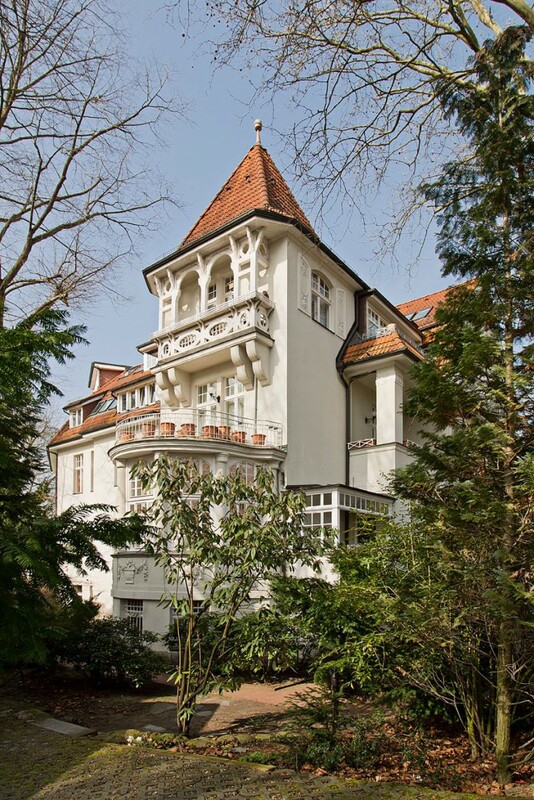 The property is located in Grunewald borough, one of the most popular residential areas of Berlin. Forests and lakes make this area very peaceful and quiet place to live. It has always been a district of noblemen, bankers, and writers. Even today, the streets of Grunewald borough has remained the atmosphere of that period. Also, you are steps away from shops, restaurants, schools, and a hospital. 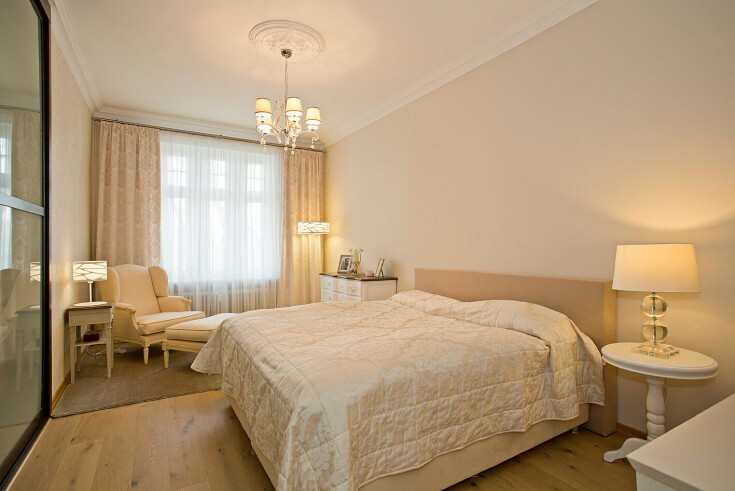 Do not miss a unique opportunity to have a luxurious apartment in Berlin!